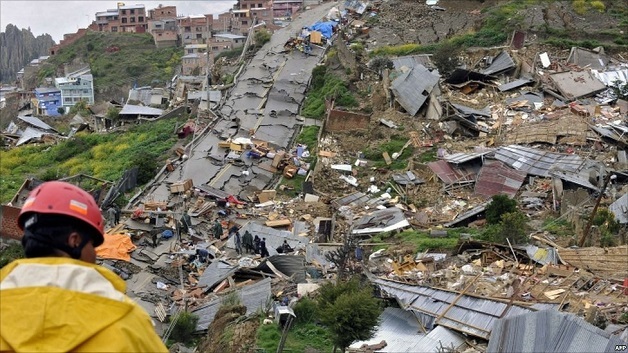 At least 14 people have been killed and seven others are missing, following two landslides in Bolivia. According to a BBC report, torrential rains caused the landslides on the road, linking the capital, La Paz, to the northern town of Caranavi, the gateway to the Amazon rainforest, over the weekend. Tonnes of earth collapsed from roadside mountains, following the first landslide due to the continuous rain, burying several vehicles on the highway. 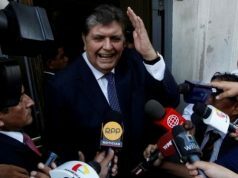 Bolivia’s President Evo Morales said on his Twitter account, that helicopters were being used to transport 34 wounded to local hospitals. Approximately 50 people were injured as soil and rocks fell on at least six vehicles, including public transport vehicles.